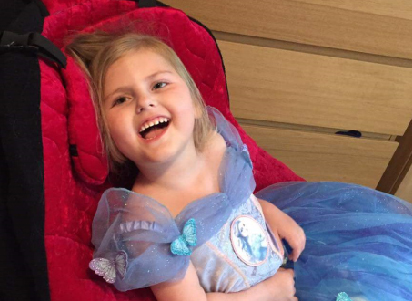 Donations to Tree of Hope make a real difference to seriously ill and disabled children and their families all over the UK. 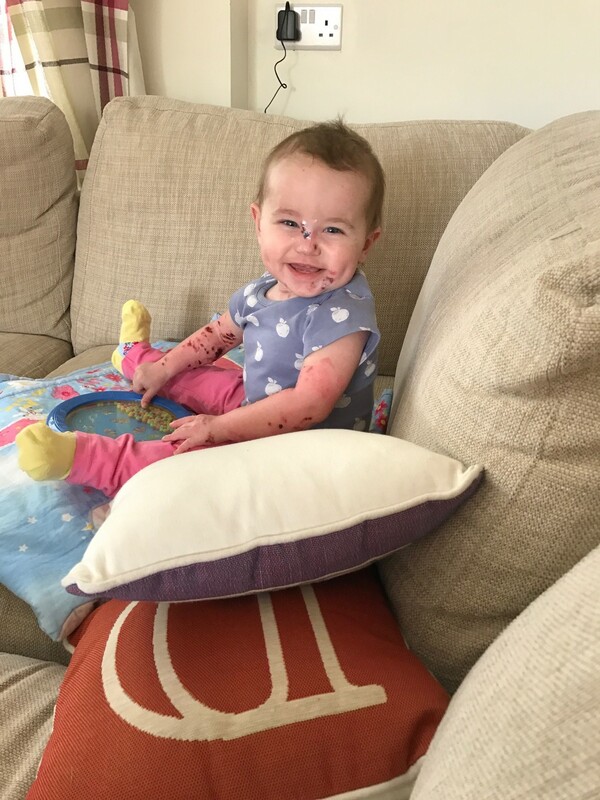 By donating to Tree of Hope directly, you are allowing us to help children receive the medical treatment, therapy and equipment they need. 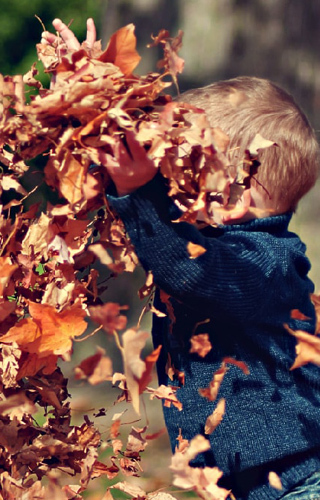 More than 200 new families a year come to Tree of Hope for support. 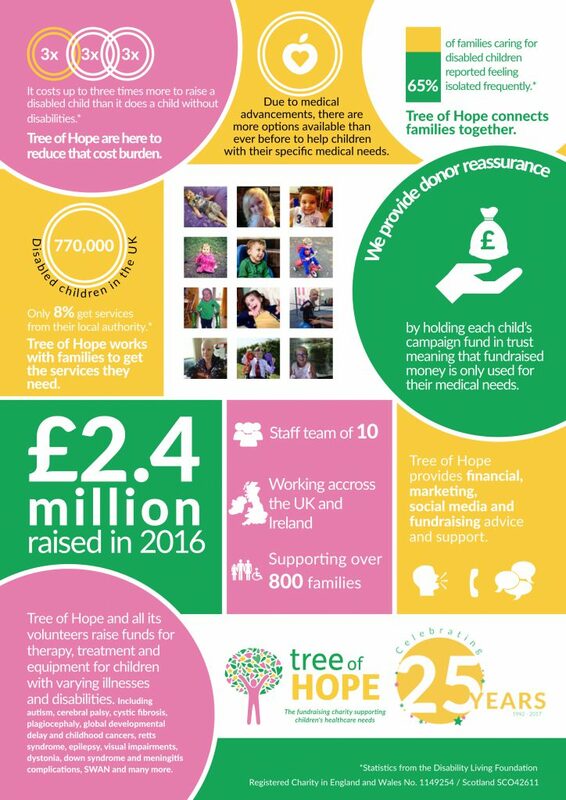 When you support us, it enables us to help these families, and by donating directly to Tree of Hope, you’re helping us with our every day running costs, staff salaries, fundraising promotions/PR, technical support and safely managing all campaign funds. 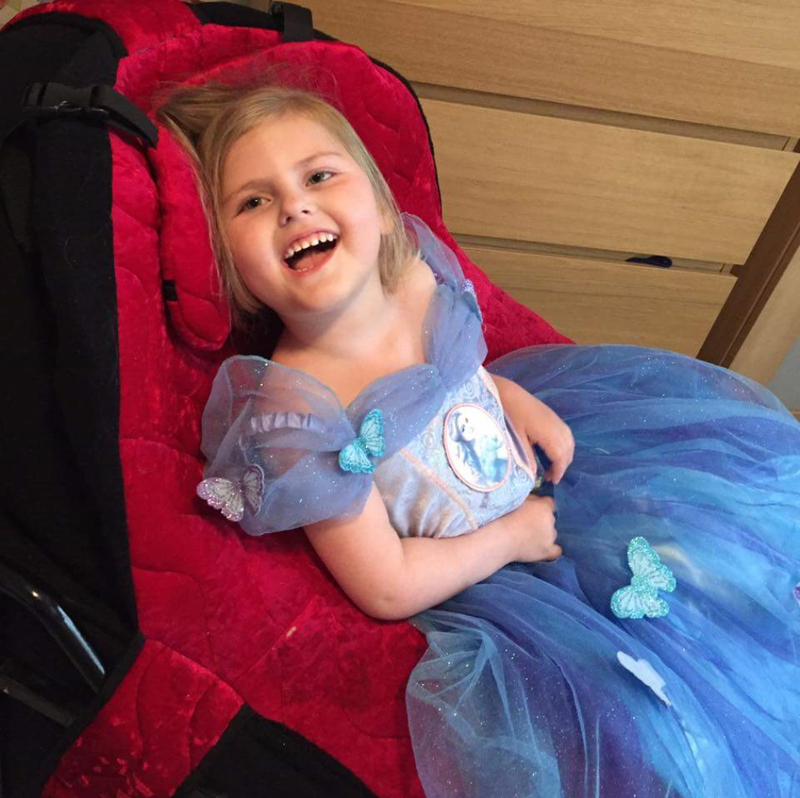 Ella’s Story – Raised £12,000 for a life changing piece of equipment, the ‘Innowalk’ which improves her respiration, gastrointestinal function, strengthens her muscles and most importantly relieves Ella of pain. 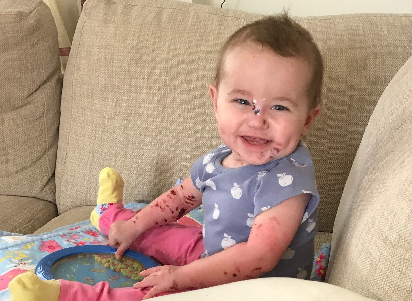 Pippa’s Story – Raised £25,000 for specialist equipment that would relieve her from some of the everyday pain of rare skin condition Epidermolysis Bullosa, listed in the top 10 most painful conditions one earth. 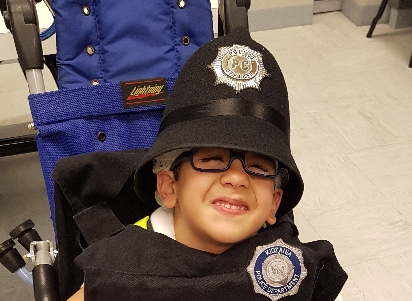 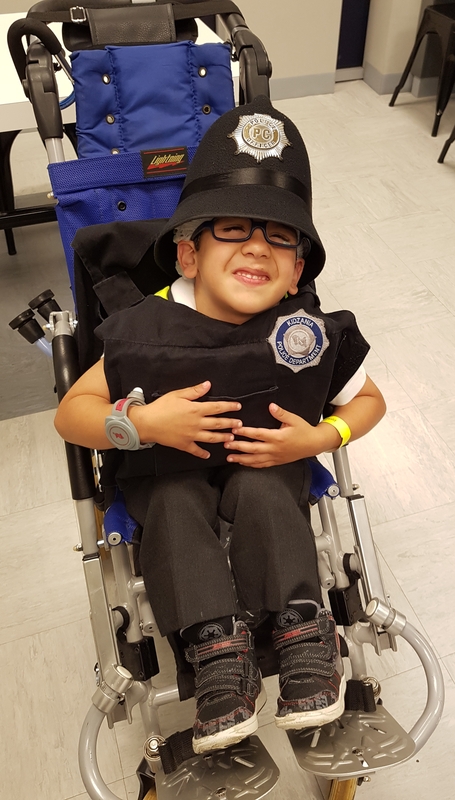 Andy’s Story – Raised £60,000 for vital operation SDR (selective dorsal rhizotomy), equipment and therapy that will allow him to walk.